No one wants stained or yellow teeth. That’s why we brush and floss regularly and know that we should avoid smoking. While these are important aspects of oral hygiene and keeping your teeth white, there is another factor that could cause your pearly whites to not be so white. That is the food we eat. Strongly colored food and drinks are the worst offenders. 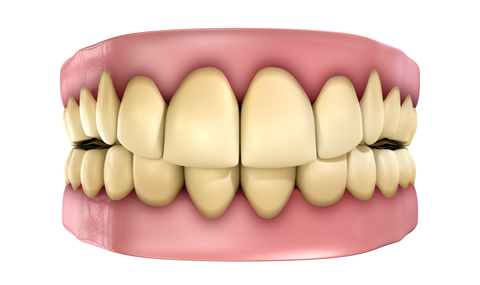 The more highly colored, the greater the potential for staining the teeth. A good thumb rule to follow is that if something can stain a white tablecloth, it could also stain your teeth. Obviously you cannot limit your diet to only those foods that will not cause tooth discoloration. But by knowing which ones pose the most risk, you can control the problem. Wine: It’s not just red wine that stains teeth – white wine does it too. Also remember that according to a study done by the New York University School of Dentistry, after teeth are exposed to wine, they are more susceptible to other staining agents. Tea: We know that coffee stains teeth, but the fact is that tea is an even bigger stainer. While all types of tea pose a staining risk, white, green and herbal teas are less of a problem than black tea. Cola: Cavities are not the only danger that colas pose. They are highly acidic and like wine, they not just cause staining on their own but also leave teeth open to increased staining from other foods and drinks. It is a fallacy that only dark colored colas are dangerous. Even light colored soft drinks pose a risk. Those in the habit of keeping a can of cola at their sides and sipping all day long are the most at risk. Sports Drinks: Because these are supposed to be healthy, people tend to consume them without a second thought. While the jury is still out on the benefits of these drinks, most of them are highly acidic and this can cause the tooth enamel to soften, which in turn leads to increased chances of staining by other foods. Sauces: Tomato, soy and other highly colored sauces, along with many curries, are thought to be major factors in the staining of teeth. Berries: While cherries, grapes, blackberries, cranberries and the like are known to have significant health benefits, they are also causes of stained teeth. Juice, jams, pies and other foods made with berries all pose a similar risk. Candies: Sweets of any type be it a hard candy or chewing gum or a popsicle containing coloring agents, can stain teeth. If your tongue turns the color of the sweet you are eating, there is a chance that your teeth will also be affected. Keep checking your smile regularly. The process of staining is slow and often the loss of whiteness is only noticed when someone else comments upon it. If you notice any signs of teeth discoloration, contact your dentist immediately. The earlier the problem is treated, the sooner you will see the results. Remember your dentist is a professional who will see discoloration and other problems before you notice them. That’s why regular dental checkups are so important in keeping your teeth shiny white and healthy.